The votes are in from more than 70 of the world’s leading drama commissioners and buyers in the first C21 International Drama Awards, and the finalists have been announced. 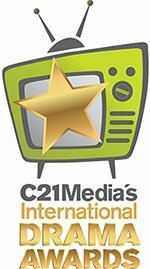 The winners will be unveiled on November 20 at a ceremony on the closing night of the sold out C21 International Drama Summit. C21 editor-in-chief & MD David Jenkinson said: “We have been overwhelmed by the quality of entries in this first awards series, and bowled over by the enthusiasm of the judges. The fact these awards are chosen by the executives responsible for bringing the best stories to the screen around the world gives them a unique status in the business. The awards will be hosted by one of the UK’s hottest comedy talents; Tiff Stevenson. She first hit the Fringe with a lead role in the Eric Bogosian play, Talk Radio, directed by Stewart Lee. 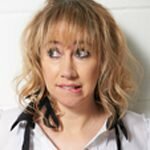 The following year she teamed up with her Talk Radio co-star Phil Nichol & brought their London show Old Rope to Edinburgh for the first of a succession of sell-out festival runs. Old Rope showcases new material from up-and-coming as well as established headline acts and it still plays to capacity crowds every Monday night in London. Her solo Edinburgh stand-up shows, Optimist, Uncomfortably Numb, Cavewoman, Dictators and Along Came a Spider, have consistently had packed audiences and rave reviews, and in 2012 she won the Mervyn Stutter’s Spirit of the Fringe Award. In 2010 Stevenson starred in Celebrity Autobiography at the Fringe and in the West End alongside David Tennant, Michael Urie, Sally Phillips & Doon Mackichan.